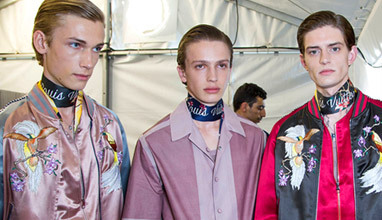 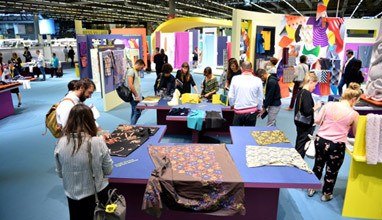 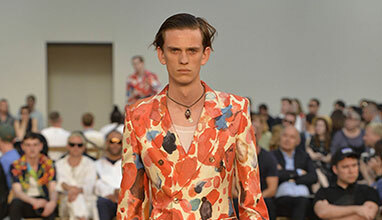 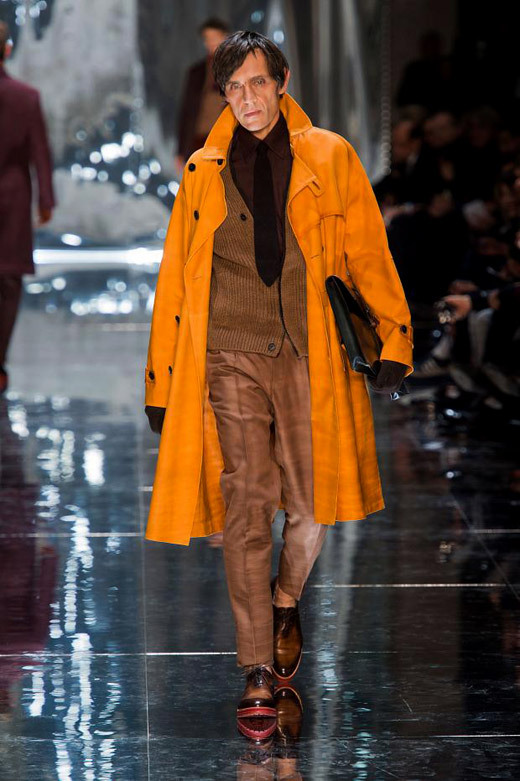 Berluti's creative director, Alessandro Sartori, presented in Paris a modern collection full of present-day trend-less luxury garments, combining traditional Italian tailoring and contemporary youthfulness. 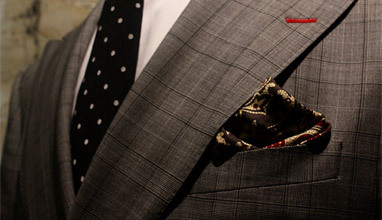 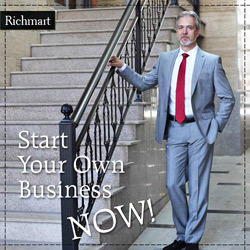 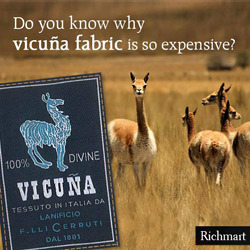 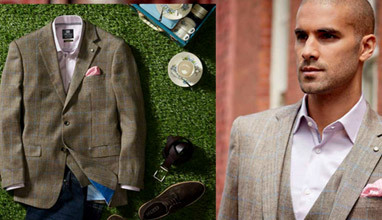 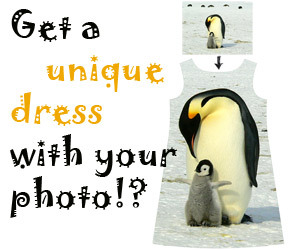 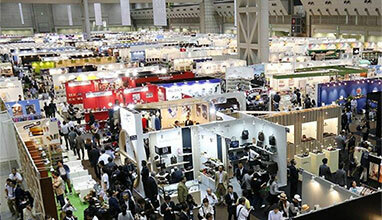 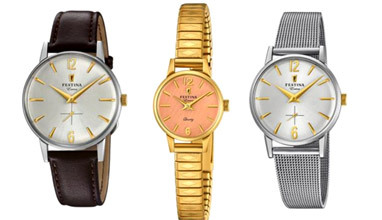 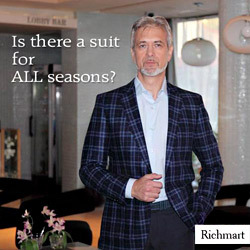 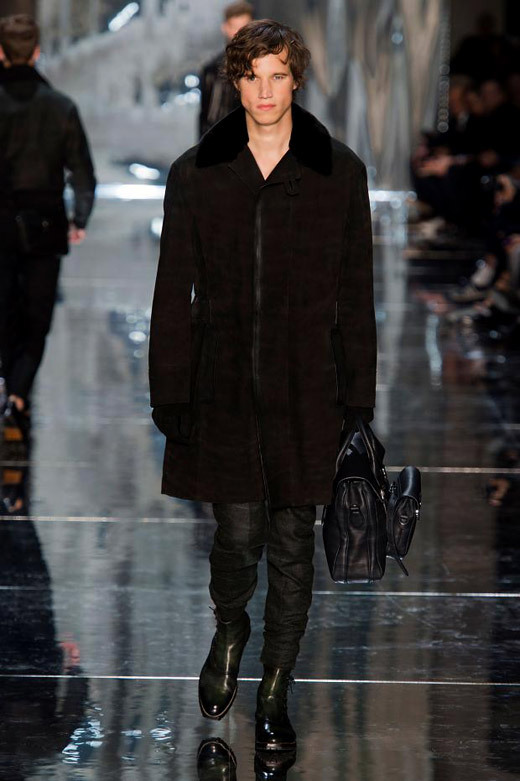 Used materials: high quality leather, suede, wool, cashmere, cotton, silk, kangaroo skin, fur. 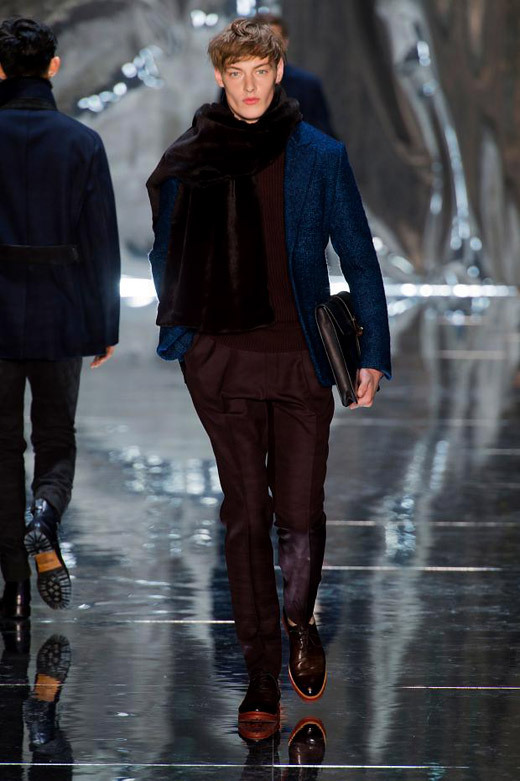 Clean classic silhouettes combined with scarves, gloves, thick soled dress shoes and a variety of bags. 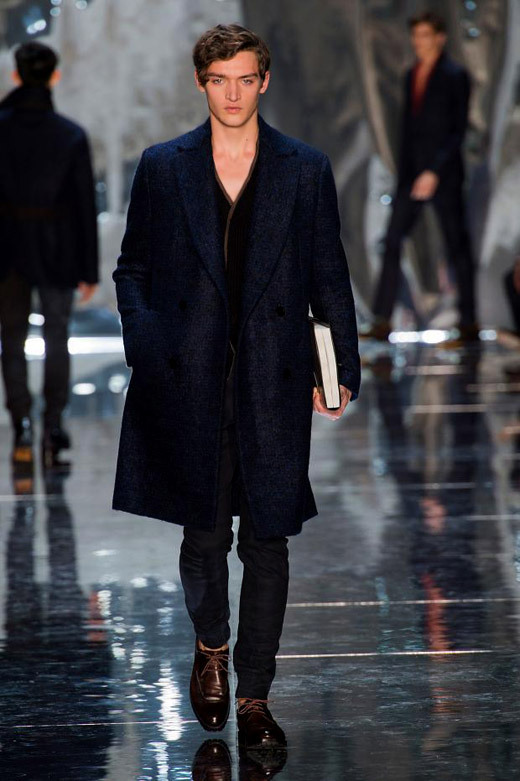 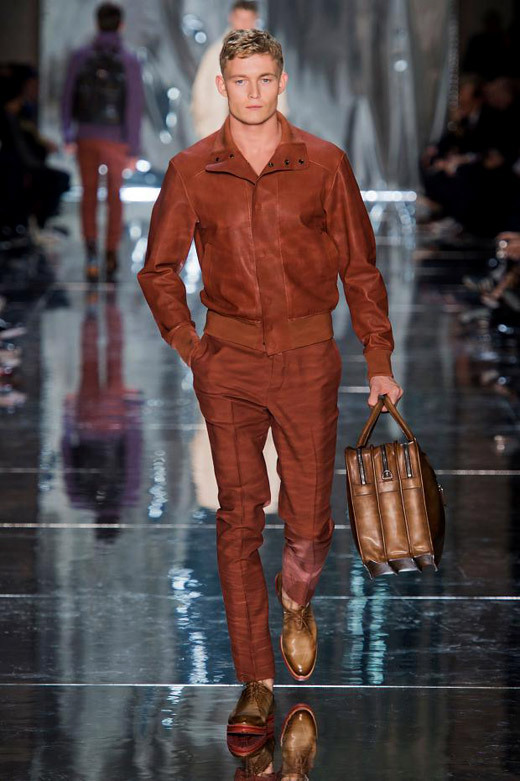 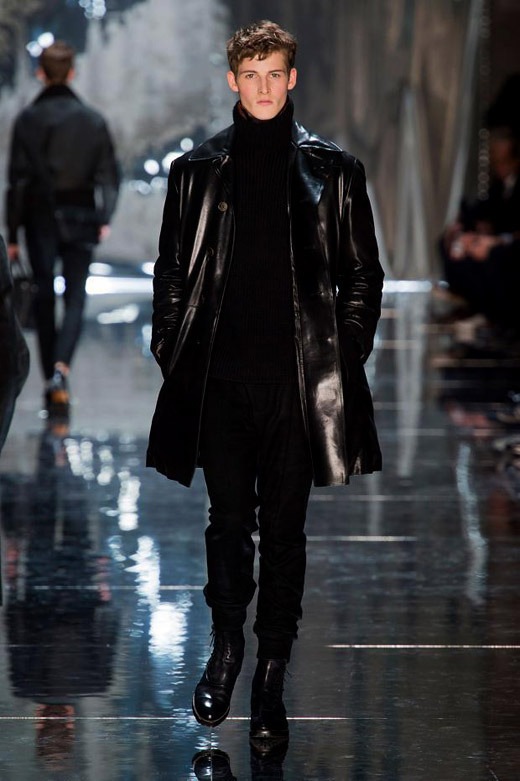 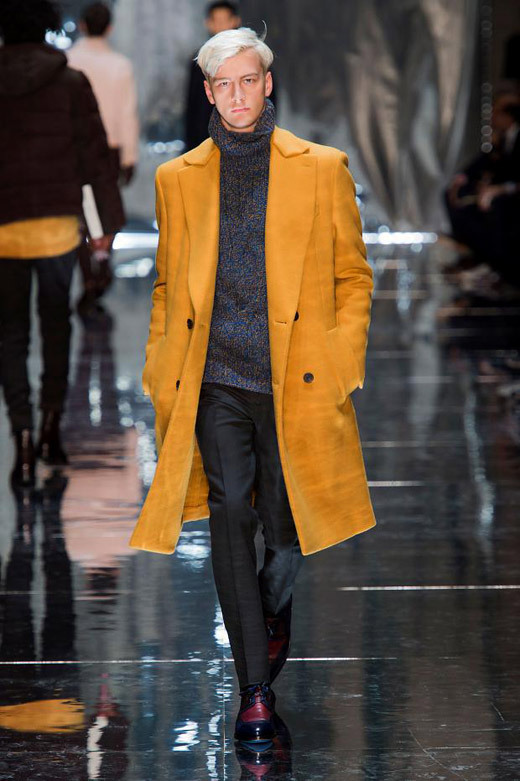 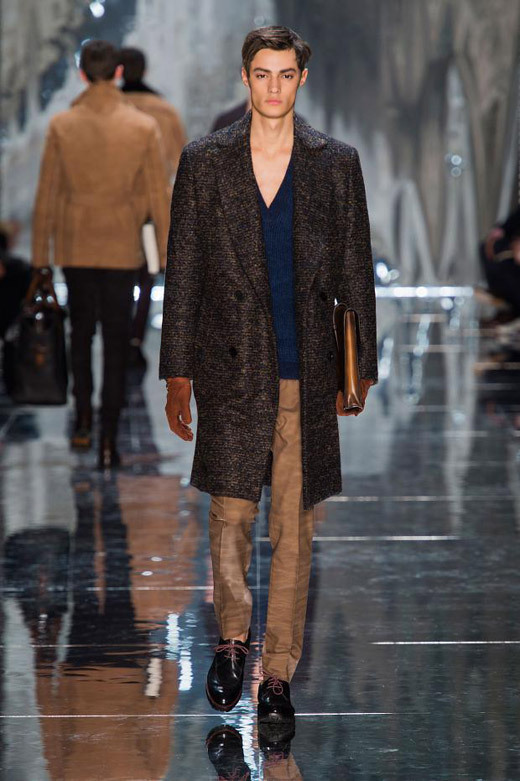 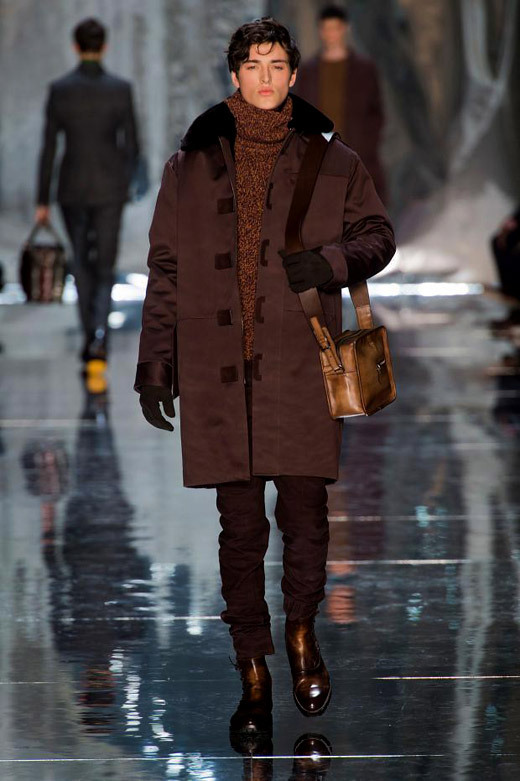 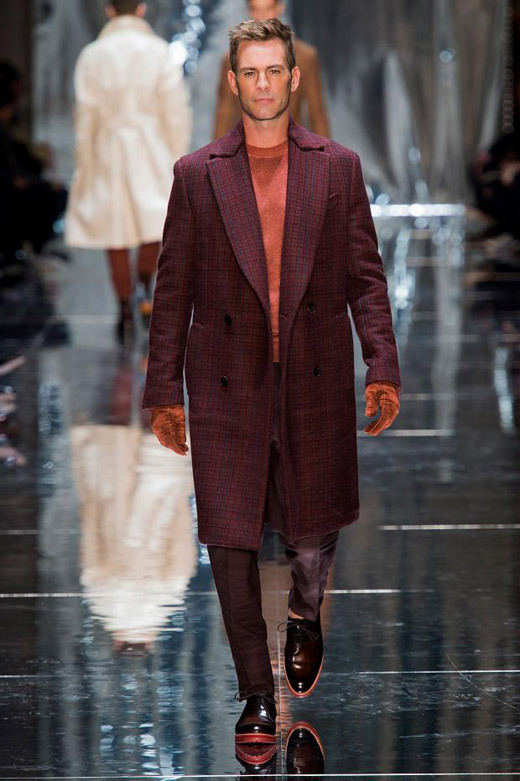 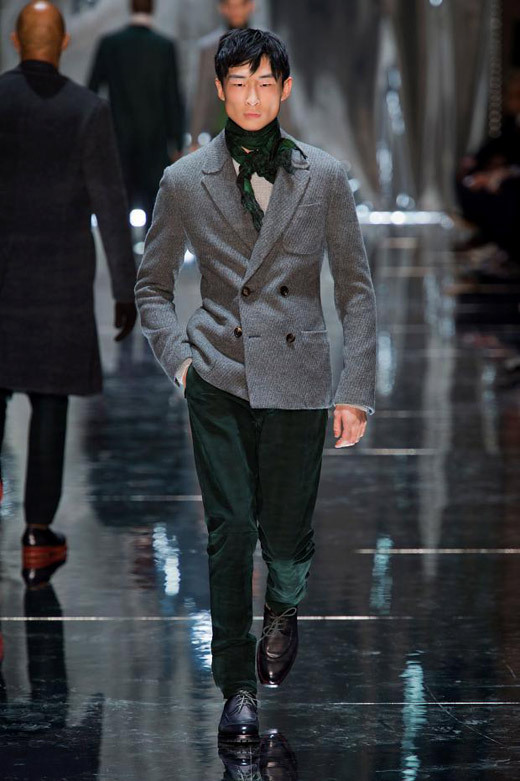 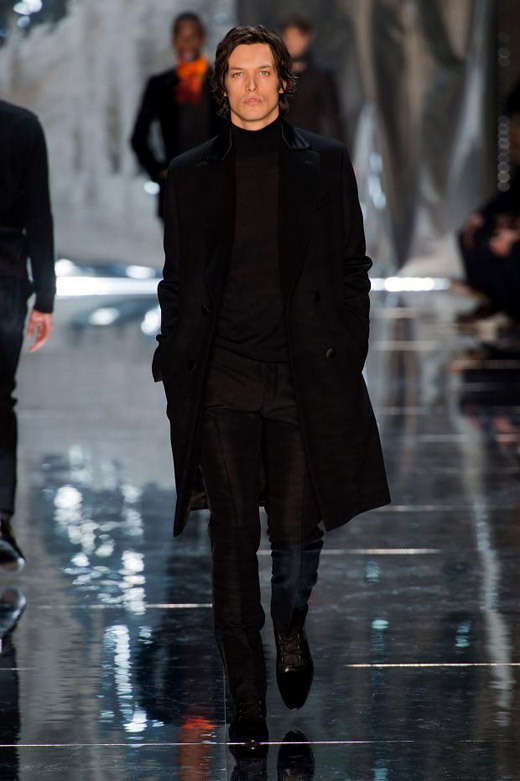 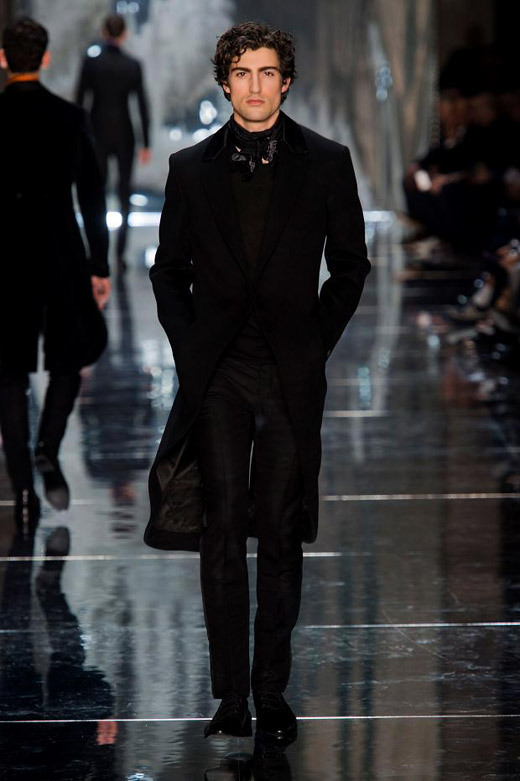 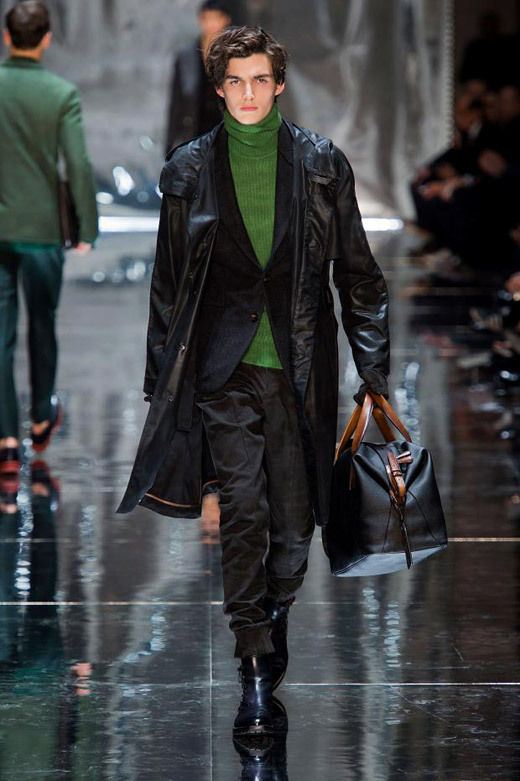 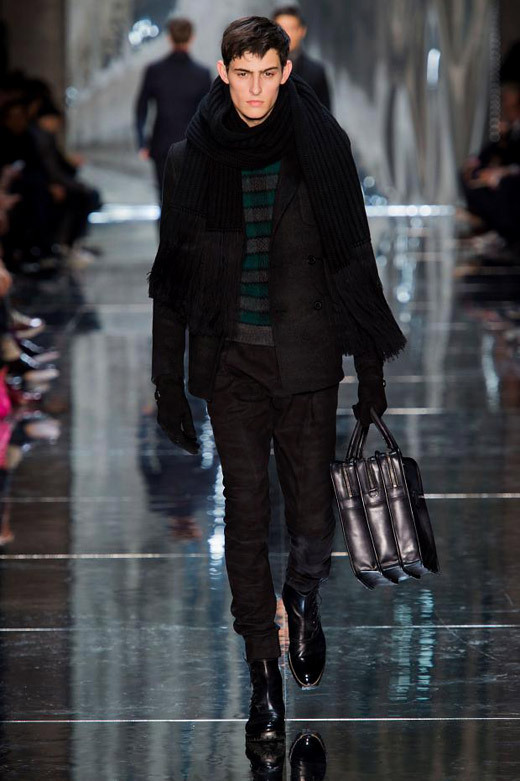 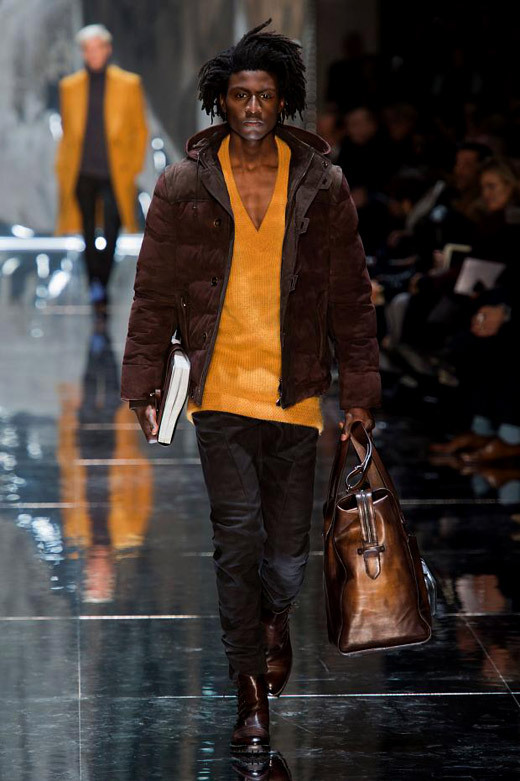 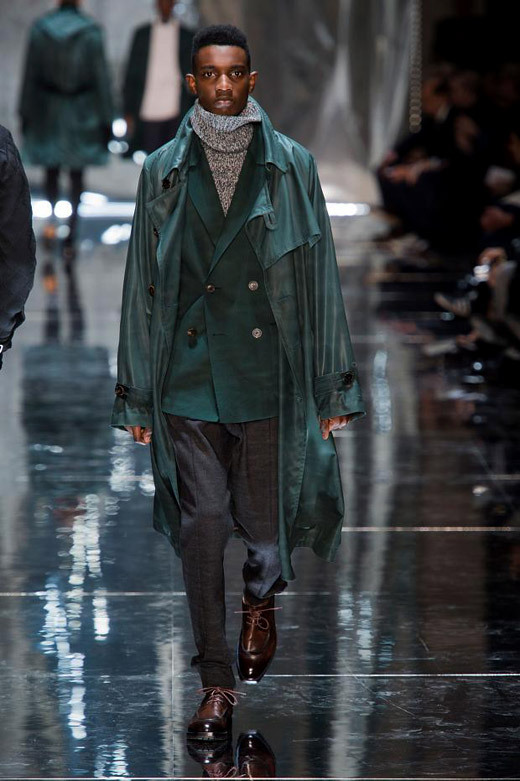 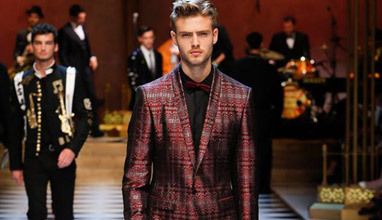 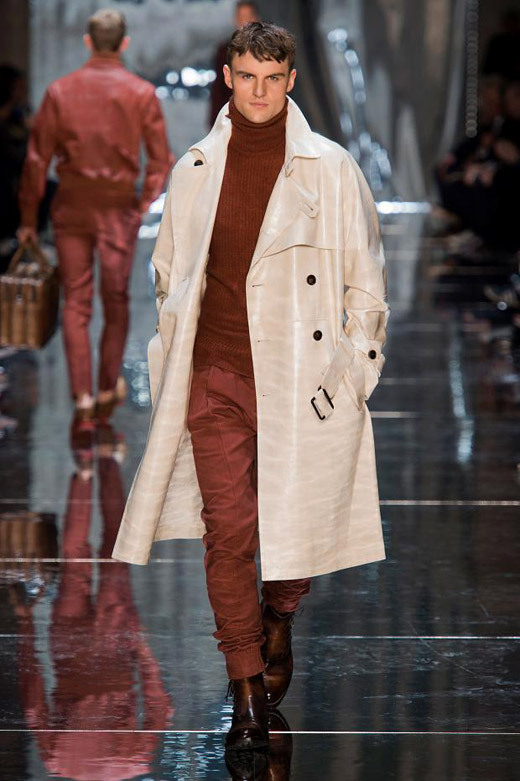 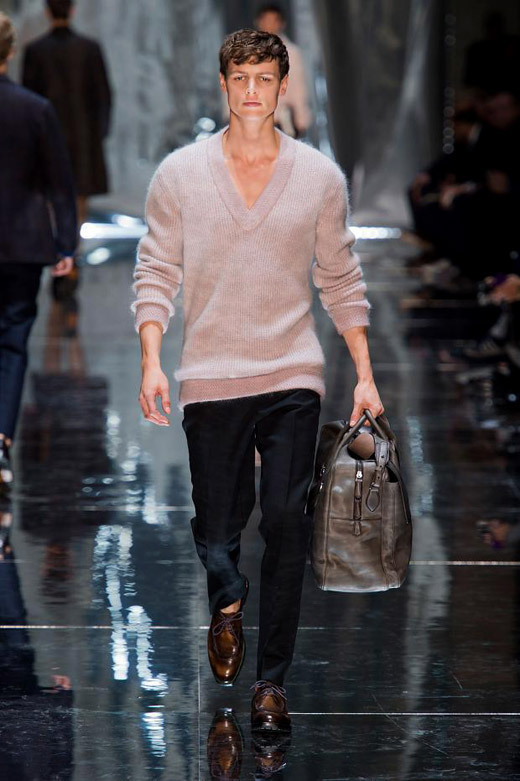 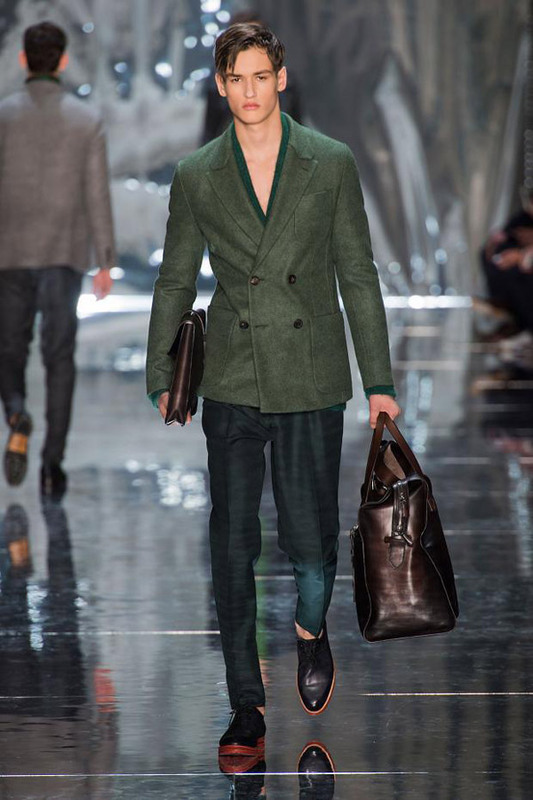 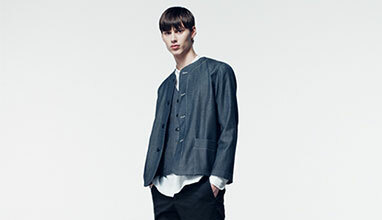 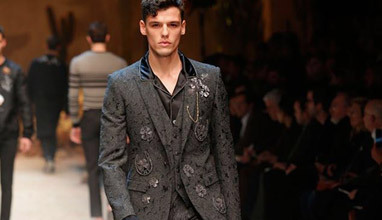 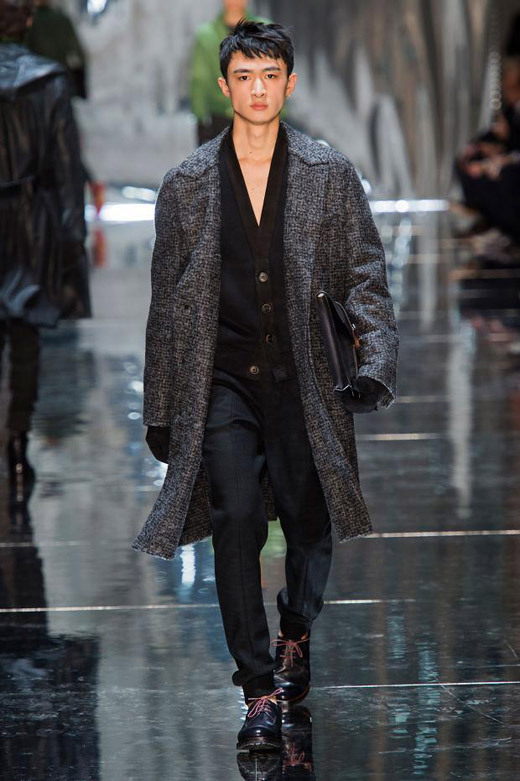 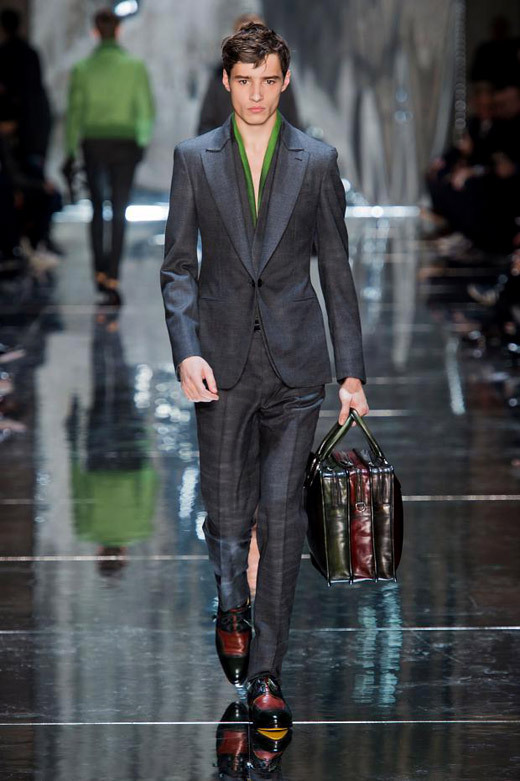 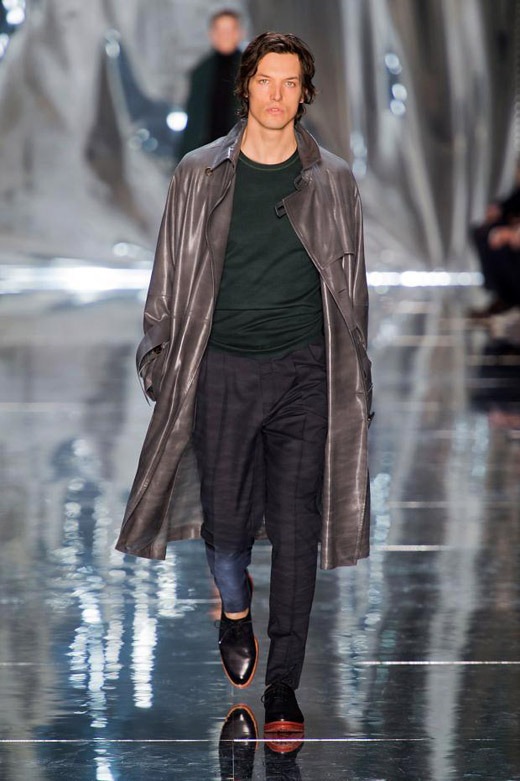 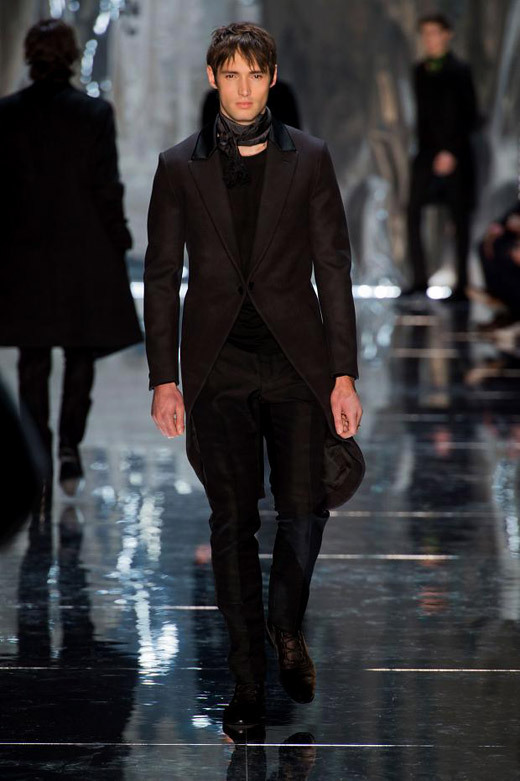 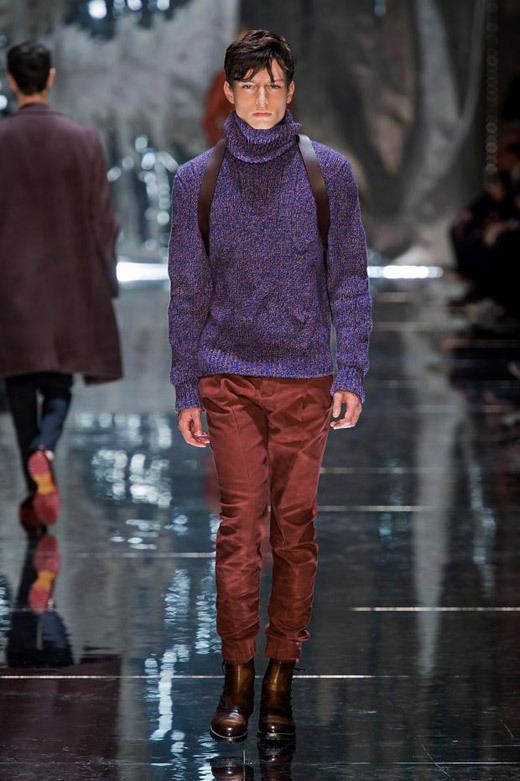 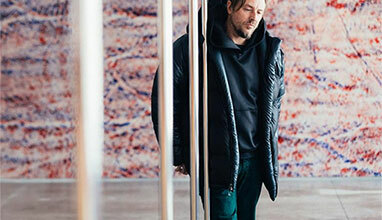 Berluti Fall-Winter 15/16 collection offers also tapered pants, duffle coats, trench coats, frock coats, bomber jackets. 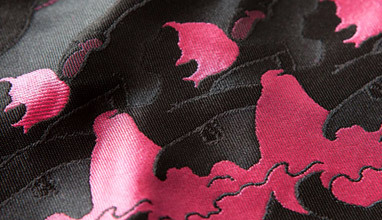 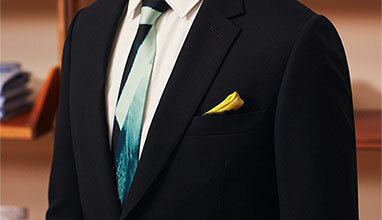 Key colors: black, midnight blue, dark purple, khaki, apple green, red, ocher, yellow.